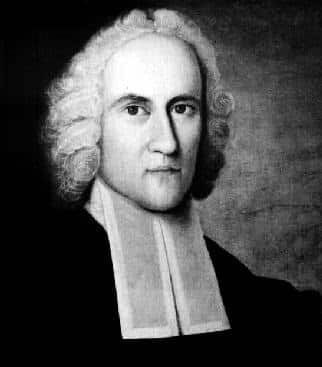 If you want to form some New Year’s Resolutions and can’t think of any, perhaps the following list composed by Jonathan Edwards might be of help. “Being sensible that I am unable to do any thing with out God’s help, I do humbly entreat him, by his grace, to enable me to keep these Resolutions, so far as they are agreeable to his will, for Christ’s sake. Resolved, That I will do whatsoever I think to be most to the glory of God, and my own good, profit, and pleasure, in the whole of my duration; without any consideration of the time, whether now, or never so many myriads of ages hence. Resolved, to do whatever I think to be my duty, and most for the l good and advantage of mankind in general. Resolved, so to do, whatever difficulties I meet with, how many soever, and how great soever. Resolved, To be continually endeavoring to find out some new contrivance and invention to promote the fore-mentioned things. Resolved, Never to do any manner of thing, whether in soul or body, less or more, but what tends to the glory of God, nor be, nor suffer it, if I can possibly avoid it. Resolved, Never to do any thing, which I should be afraid to do if it were the last hour of my life. Resolved, To act, in all respects, both speaking and doing, as if nobody had been so vile as I, and as if I had committed the same sins, or had the same infirmities or failings, as others; and that I will let the knowledge of their failings promote nothing but shame in myself, and prove only an occasion of my confessing my own sins and misery to God. Vid. July 30. Resolved, To think much, on all occasions, of my dying, and of the common circumstances which attend death. Resolved, When I feel pain, to think of the pains of martyrdom, and of hell. Resolved, When I think of any theorem in divinity to be solved, immediately to do what I can towards solving it, if circumstances do not hinder. Resolved, If l take delight in it as a gratification of pride, or vanity, or on any such account, immediately to throw it by. Resolved, To be endeavoring to find out fit objects of liberality and charity. Resolved, Never to do any thing out of revenge. 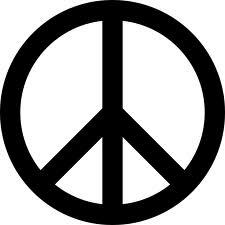 Resolved, Never to suffer the least motions of anger towards irrational beings. Resolved, Never to speak evil of any one, so that it shall tend to his dishonor, more or less, upon no account except for some real good. Resolved, To live so, at all times, as I think is best in my most devout frames, and when I have the clearest notions of the things of the gospel, and another world. Resolved, Never to do any thing, which I should be afraid to do, if I expected it would not be above an hour before I should hear the last bump. Resolved, To maintain the strictest temperance in eating and drinking. Resolved, To endeavor to obtain for myself as much happiness in the other world as I possibly can, with all the power, might, vigor, and vehemence, yea violence, I am capable of, or can bring myself to exert, in any way that can be thought of. Resolved, Frequently to take some deliberate action, which seems most unlikely to be done, for the glory of Cod, and trace it back to the original intention, designs, and ends of it; and if I find it not to be for God’s glory, to repute it as a breach of the fourth Resolution. Resolved, Whenever I do any conspicuously evil action, to trace it back, till I come to the original cause and then, both carefully endeavor to do so no more, and to fight and pray with all my might against the original of it. Resolved, To examine carefully and constantly, what that one thing in me is, which causes me in the least to doubt of the love of God; and so direct all my forces against it. Resolved, To cast away such things as I find do abate my assurance. Resolved, Never wilfully to omit any thing, except the omission be for the glory of God; and frequently to examine my omissions. Resolved, Never to count that a prayer, nor to let that pass as a prayer, nor that as a petition of a prayer, which is so made, that I cannot hope that God will answer it; nor that as a confession which I cannot hope god will accept. Resolved, To strive every week to be brought higher in religion, and to a higher exercise of grace, than I was the week before. Resolved, Never to say any thing at all against any body, but when it is perfectly agreeable to the highest degree of Christian honor, and of love to mankind, agreeable to the lowest humility, and sense of my own faults and failings, and agreeable to the golden rule; often, when I have said any thing against any one, to bring it to, and try it strictly by, the test of this Resolution. Resolved, To be strictly and firmly faithful to my trust, that that, in Proverbs 20:6. ‘A faithful man, who can find?’ may not be partly fulfilled in me. Resolved, In do always what I can towards making, maintaining, and preserving peace, when it can be done without an overbalancing detriment in other respects. December 26, 1722. Resolved, In narrations, never to speak any thing but the pure and simple verity. Resolved, Whenever I so much question whether I have done my duty, as that my quiet and calm is thereby disturbed, to set it down, and also how the question wee resolved. December 18,1 722. Resolved, Never to speak evil of any, except I have some particular good call to it. December 19, 1722. Resolved, To inquire every night, as I am going to bed, wherein I have been negligent, — what sin I have committed, — and wherein I have denied myself; — also, at the end of every week, month, and year. December 22 and 26, 1722. Resolved, Never to utter any thing that is sportive, or matter of laughter, on a Lord’s day. Sabbath evening, December 23,1722. Resolved, Never to do any thing, of which I so much question the lawfulness, as that I intend, at the same time, to consider and examine afterwards, whether it be lawful or not; unless I as much question the lawfulness of the omission. Resolved, To inquire every night before I go to bed, whether I have acted in the best way I possibly could, with respect to eating and drinking. January 7, 1723. Resolved, To ask myself, at the end of every day, week, month, and year, wherein I could possibly, in any respect, have done better. January 11, 1723. Resolved, Frequently to renew the dedication of myself to God, which was made at my baptism, which I solemnly renewed when I was received into the communion Or the church, and which I have solemnly re-made this 12th day of January, 1723. Resolved, Never, henceforward, till I die, to act as if I were any way my own, but entirely and altogether God’s; agreeably to what is to be found in Saturday, January 12th. January 12, 1723. Resolved, That no other end but religion shall have any influence at all on any of my actions; and that no action shall be, in the least circumstance, any otherwise than the religious end will carry it. January 12, 1723. Resolved, Never to allow any pleasure or grief, joy or sorrow, nor any affection at all, nor any degree of affection, nor any circumstance relating to it, but what helps religion. January 12 and 13, 1723. Resolved, Never to allow the least measure of any fretting or uneasiness at my father or mother. Resolved, to suffer no effects of it, so much as in the least alteration of speech, or motion of my eye; and to be especially careful of it with respect to any of our family. Resolved, To endeavor, to my utmost, to deny whatever is not most agreeable to a good and universally sweet and benevolent, quiet, peaceable, contented and easy, compassionate and generous, humble and meek, submissive and obliging, diligent and industrious, charitable and even, patient, moderate, forgiving, and sincere, temper; and to do, at all times, what such a temper would lead me to; and to examine strictly, at the end of every week, whether I have so done. Sabbath morning, May 5, 1723. Resolved, Constantly, with the utmost niceness and diligence, and the strictest scrutiny, to be looking into the state of my soul, that 1 may know whether I have truly an interest in Christ or not; that when I come to die, I may not have any negligence respecting this to repent of. May 26, 1723. Resolved, That this never shall be, if I can help it. Resolved, That I will act so, as I think I shall judge would have been best, and most prudent, when I come into the future world. July 5, 1723. Resolved, That I will act so, in every respect, as I think I shall wish I had done, if I should at last be damned. July 8, 1723. I frequently hear persons in old age say how they would live, if they were to live their lives over again: Resolved, That I will live just so as I can think I shall wish I had done, supposing I live to old age. July 8, 1723. Resolved, To improve every opportunity, when I am in the best and happiest frame of mind, to cast and venture my soul on the Lord Jesus Christ, to trust and confide in him, and consecrate myself wholly to him; that from this I may have assurance of my safety, knowing that I confide in my Redeemer. July 8, 1723. Resolved, Whenever I hear anything spoken in commendation of any person, if I think it would be praiseworthy in me, that I will endeavor to imitate it. July 8, 1723. Resolved, To endeavor, to my utmost, so to act, as I can think I should do, if I had already seen the happiness of heaven and hell torments. July 8, 1723. Resolved, When 1 fear misfortunes and adversity, to examine whether I have done my duty, and resolve to do it, and let the event be just as Providence orders it. I will, as far as I can, be concerned about nothing but my duty and my sin. June 9, and July 13, 1723. Resolved, Not only to refrain from an air of dislike, fretfulness, and anger in conversation, but to exhibit an air of love, cheerfulness, and benignity. May 27, and July 13, 1723. Resolved, When I am most conscious of provocations to ill nature and anger, that I will strive most to feel and act good-naturedly; yea, at such times, to manifest good nature, though I think that in other respects it would be disadvantageous, and so as world be imprudent at other times. May 12, July 11, and July 13. Resolved, Whenever my feelings begin to appear in the least out of order, when I am conscious of the least uneasiness within, or the least irregularity without, I will then subject myself to the strictest examination. July 4 and 13, 1723. Resolved, That I will not give way to that listlessness which I find unbends and relaxes my mind from being fully and fixedly set on religion, whatever excuse I may have for it — that what my listlessness inclines me to do, is best to be done, etc. May 21, and July 13, 1723. Resolved, Never to do any thing but my duty, and then, according to Ephesians 6 6-8. to do it willingly and cheerfully, as unto the Lord, and not to man: knowing that whatever good thing any man doth, the same shall he receive of the Lord. June 25, and July 13, 1723. On the supposition, that there never was to be but one individual in the world, at any one time, who was properly a complete Christian, in all respects of a right stamp, having Christianity always shining in its true luster, and appearing excellent and lovely, from whatever part and under whatever character viewed: Resolved, To act just as I would do, if I strove with all my might to be that one, who should live in my time. January14, and July 13, 1723. Resolved, When I find these “groanings which cannot be uttered,” of which the apostle speaks, and those “ breathings of soul for the longing it hash,” of which the psalmist speaks, <19B920>Psalm 119:20. that I will promote them to the utmost of my power; and that I will not be weary of earnestly endeavoring to vent my desires, nor of the repetitions of such earnestness. July 23, and August 10, 1723. Resolved, Very much to exercise myself in this, all my life long, viz. with the greatest openness of which I am capable, to declare my ways to God, and lay open my soul to him, all my sins, temptations, difficulties, sorrows, fears, hopes, desires, and every thing, and every circumstance, according to Dr. Manton’s Sermon on the 119th Psalm. July 26, and August10, 1723. Resolved, That I will endeavor always to keep a benign aspect, and air of acting and speaking, in all places, and in all companies, except it should so happen that duty requires otherwise. Resolved, After afflictions, to inquire, what I am the better for them; what good I have got by them; and, what l might have got by them. Resolved, To confess frankly to myself, all that which I find in myself, either infirmity or sin; and, if it be what concerns religion, also to confess the whole case to God, and implore needed help. July 23, and August 10, 1723. Resolved, Always to do that, which I shall wish I had done when I see others do it. August 11, 1723. If you tried to access Attempts at Honesty over the last few days and all you got was a blank window in your browser, it was due to this blog having been hacked.